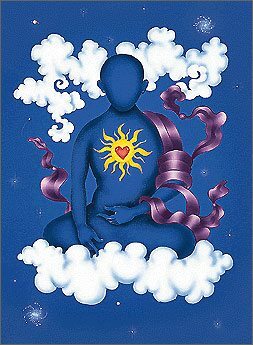 The card HEART invites you to move into the realm of the heart. When you are in your heart, you can relate to others from a place of compassion and loving energy. Your heart has its own quiet way of wisdom, wordless and calm. When you approach things with an open heart, you can radiate respect and acceptance to whatever you see. To get to your heart, move your awareness down into your chest, and contact your own inner source of lovingness. Allow yourself to relax and breathe deeply. Focus your attention on the sensations in your chest. Invite the love in your heart to open – for the sheer pleasure of feeling it! Gradually sense the warmth of its opening, the expansiveness of its energy. The heart opens much like a flower opens to the warm rays of sunlight on a perfect spring day. Can you recall the deep sense of inner peace and serenity that such a day brings? Visualize a golden globe of sunshine gently filling your chest. Let its warmth begin to radiate out from your heart – and into the world around you. In opening your heart, you bring a higher wisdom to bear on whatever is happening. You can choose to communicate with heart in any circumstance – even one where you would otherwise react negatively. Your heart is full of strength. It can open at any moment, easy or difficult. You might be surprised by how strongly the sun in your heart can shine, even in very troubling situations. Opening your heart, however, does not mean you must sacrifice your own needs – far from it. In fact, your heart can help you to voice your true needs in a simple and direct way, in a way that your partner can hear. Ultimately, approaching life with the wisdom of your heart allows you to achieve more satisfying results than if you had simply reacted as usual. When you’re in your heart, you have no need to interrupt or pull away from a partner, even if they are in the middle of expressing upset feelings. And you have no need to try to fix or solve any problems. When you have an open heart, you can simply breathe and allow others to express whatever they feel. You can quietly witness them, and feel your own safety and strength. 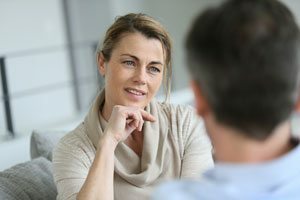 In difficult situations, you can recognize that you and your partner are moving toward healing – even if you must first pass through dark moments or troubling emotions. Like storm clouds, dark emotions obscure the sun only momentarily. Your heart knows that even rain – in the form of tears – serves a positive purpose. Even in the darkness of night, your heart reminds you that the sun still exists. Your heart knows that the sun will eventually rise. In your heart, you can contact that golden sun, feeling it rise within you and feeling its warmth radiate from within your chest. You can know that the sun will eventually rise within your partner, too. As you imagine that sunrise, your heart can open even further. As you hold that bright image of the rising sun, your compassion can shine out to you and to your partner. In whatever is going on, your heart can help you move toward healing, growth, and better understanding. As you move from your heart, you move your relationship toward the fulfillment of your heart’s truest desires.